Thayers has offered natural remedies since 1847. In 1847, Henry Thayer M.D., opened a laboratory on Main Street in Cambridge, Massachusetts to produce his newly developed line of herbal extracts for sale to the medical profession. After Dr. Thayer died in 1902, ownership of the business passed on several times. The nature of the business changed from emphasis on extracts of herbs to the preparation and sale of compound formulas marketed to the public through drug stores as "patent" medicines. Included were a line? 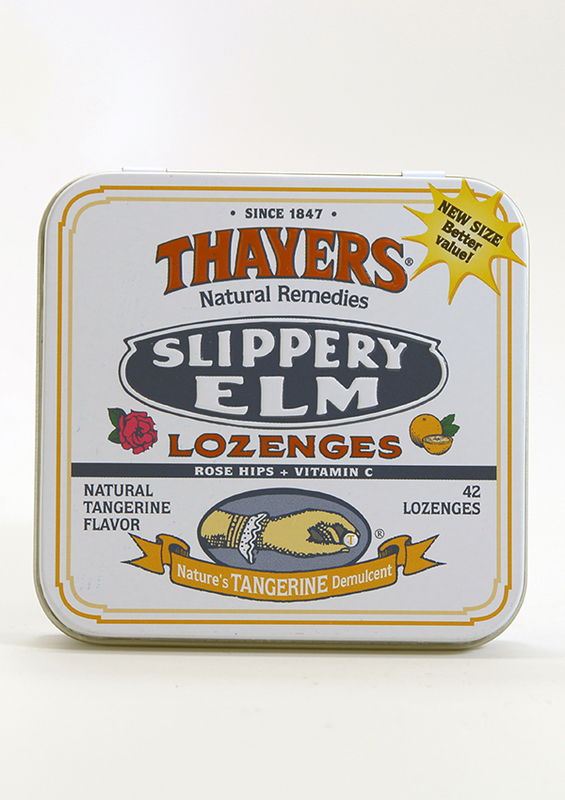 of lozenges, including Slippery Elm Lozenges. A longstanding commitment to making effective, natural remedies with high-quality ingredients has ensured Thayers' longevity. Its owners are confident that with this unwavering dedication, the company will flourish throughout the 21st Century.